The Russian empire is one of those empires that continued, arguably — not arguably, it was the case — after the four empires disappeared with World War I. The Russian empire continues, though it continues under a very different way with what became the Soviet empire. That’s what it became. With the end of the Soviet Union in 1991-92, the Soviet Empire collapsed, the Soviet Union collapses, and I guess the only remaining empire in the world is that of the United States, which is a more informal empire, but still one that is out there almost everywhere with the military bases everywhere. So, the rise and fall of empires is obviously a theme of this course. The Russian empire, the state of Muscovy had already expanded greatly, but it’s really Peter the Great, it’s the big guy who expanded Russia, its territorial size enormously. Muscovy had been one of the tributaries of the Mongols, who sacked Kiev in the 1230s, after pouring into Russia and what now is Ukraine. Muscovy was a princely state. It gradually expanded in size, reaching to the Southern Ural Mountains and the Caspian Sea, and emerging as a dynastic state. But yet Muscovy was considerably less important than the commonwealth of Poland-Lithuania, which was considerably much greater and subject to struggles with and influence by that state. What Peter the Great did was he pushed back the neighbors who had blocked the expansion of Muscovy, that is Sweden, who he defeats in a battle worth noting in Poltava, it’s in the book, 1709, Poland and the Ottoman Turks. Peter the Great expands territory beyond the Euro mountains along the Caspian Sea at the expense of the Turks. Like all of his successors, he dreamed of conquering the Turkish capital of Constantinople, that is, Istanbul, which would have given him control of the Dardanelles Straits there, the passage between Europe and Asia leading to the Black Sea. All this stuff really matters, because all these events now with the problems in Georgia. That’s a very, very delicate, strange situation, where the great power now, the United States, finds itself rather incongruously arguing that Kosovo — which should be, obviously, independent — I remember going to Pec in Kosovo when I was a kid — It’s a little hard to argue that Kosovo should be independent and that what was the territorial unit of Serbia should not be respected. I agree with this, Kosovo should be independent. And to argue that Tibet should be free, and I agree with that. Then to turn around and argue that the people in Georgia, who are not Georgians, should not have the same rights that the people in Kosovo have. The whole thing — the presentation in the press is absolutely hypocritical and just bizarre. 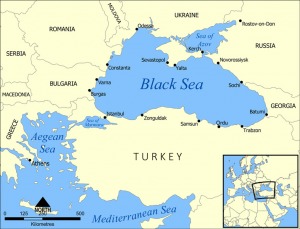 But the only point of that little diatribe in parentheses was that the Black Sea really does still matter a lot, and that Peter the Great was the first of the Russian czars to dream of this access on to the Black Sea and then finally controlling the Straits of Constantinople. And Catherine the Great — they all like to call themselves “the Great” — She would make this an important part of her policy, but she doesn’t get there either. In the nineteenth century, the Russian czars are still trying to get there as well. Peter’s new fleet, we’ll talk about his new fleet, which he oversaw and, in a very minor way, helped build himself, sails down the Don River in 1698 and takes the Turkish port of Azov, on the Sea of Azov. This gave them access to the Black Sea. But then they’re forced to back up. They lose, and they’re forced to surrender Azov to the Turks after an unsuccessful war. 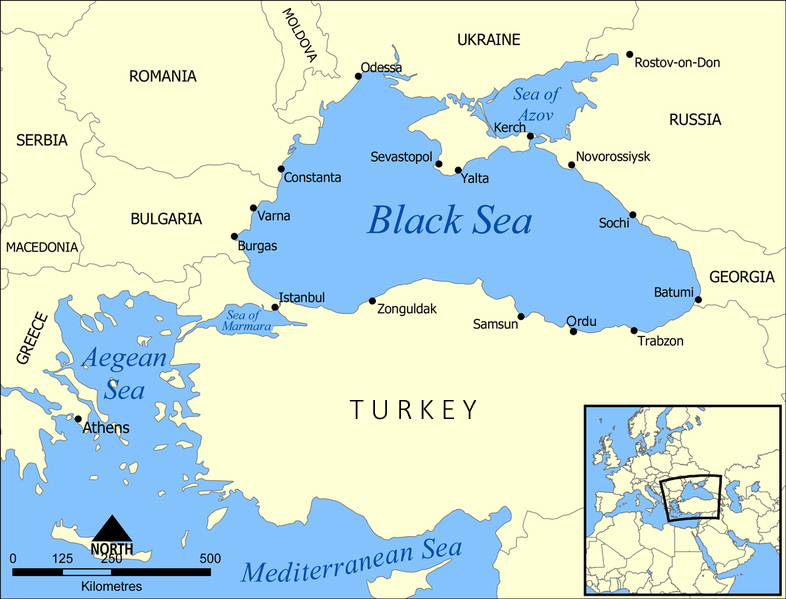 So, Peter the Great, despite his dramatic expansion of the Russian empire, does not get this outlet on the Black Sea. But what does change, and what the battle represents is, of course, Poltava — is that Russia’s participation in European affairs had been totally minimal. There’s a story often told, indeed told in the book that you’re kind enough to read, that — I think it was Louis XIV’s equivalent of minister of foreign affairs — sends a formal letter to a Russian czar — it couldn’t have been Louis XIV, but one of those dudes — it might have been — he sends a letter to a czar who had been dead for twelve years. Russia was that far away. It was not in the consciousness of the great powers. 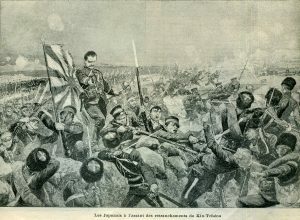 But after one of Peter’s victories, the Russian ambassador in Vienna reported that the news of Peter’s victory, people began to fear the czar as they feared Sweden formerly. It’s very difficult for us to imagine a fear of Sweden. But that fear — the last real — Gustavus Adolphus, during the Thirty Years’ War, was the last really major Swedish interlude in the continental European affairs, although Poltava doesn’t come until 1709, so voilà. But what he does is that there’s no other European state expanding their empires overseas, in the case of the Spanish and the English, that adds so much territory on land to its empire. 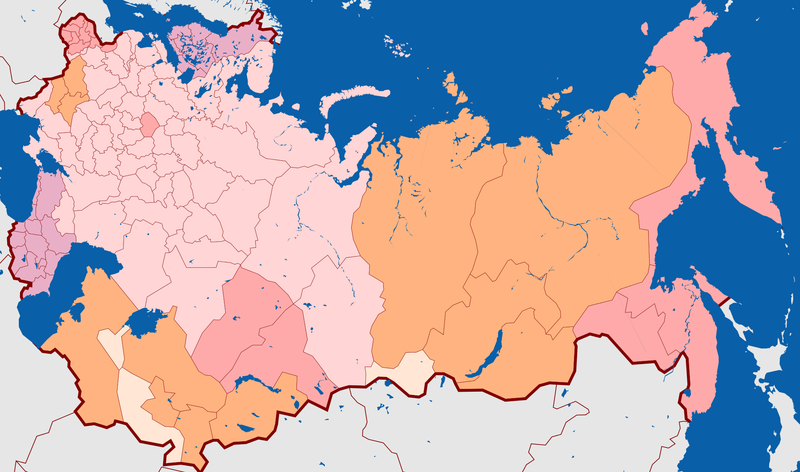 Between the 1620s and the 1740s, the land of the Russian empire increases from 2.1 million square miles to 5.9 million square miles. Now, to be sure, in Siberia in the far reaches of the north, North Asia, this empire amounted to little more than a series of trading posts, and it took a very long time for any semblance of Russian authority from Moscow and soon from St. Petersburg, for reasons that we’ll see, to reach there. 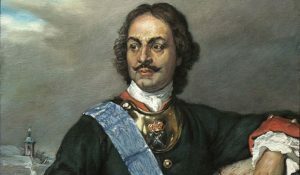 But nonetheless, Peter the Great creates this huge empire that will have, over the long run, an enormous influence in European affairs. Because, after all, European Russia is part of Europe and will have an enormous influence on Asian affairs as well. 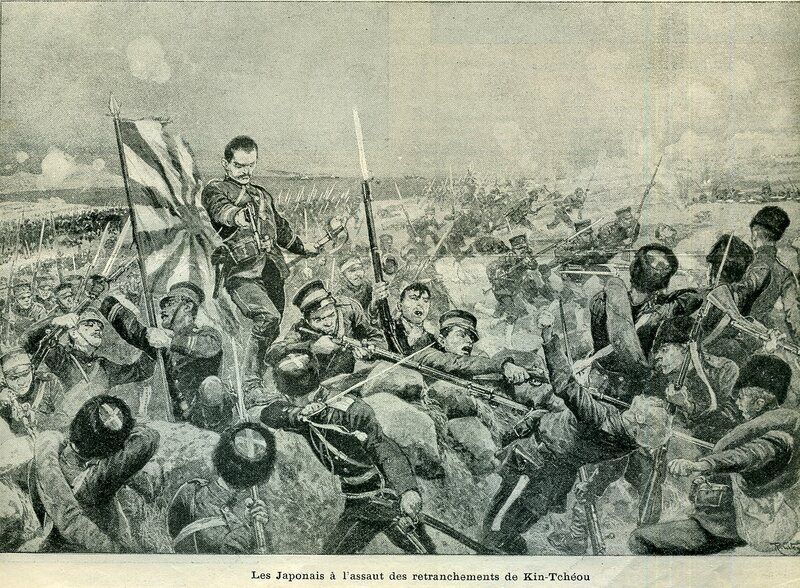 Witness the Russo-Japanese War in 1904-1905 that the Russians lose. This is a key moment in the evolution of revolutionary politics in Russia as we shall see a little later on. Now, what about Peter the Great? I used to ask my friend Paul Bushkovitch to come in and give the lecture, and I got so interested in it that I did some reading on my own, because he is not a terribly engaging or warm personality in many ways, since he enjoyed watching people being tortured, including his own son; but, he is an interesting person. One of the things he does, and I guess this is one of the things to be put in neon from this lecture, is he opens up Russia, which had no secular influences at all, to western ideas. This is an extraordinarily important and transforming accomplishment of Peter the Great. He emerges from the violent world of Boyars. Boyars are the nobles; the Junkers are the Prussian nobles. Boyars, B-O-Y-A-R, are the Russian nobles and royal politics. Peter was the first child of his father’s second wife and thus a potential threat to the ambition of the relatives of the first wife. His mother and her allies among the Boyars, that is the nobles, overthrew the regents in 1689. 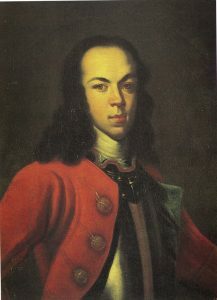 Peter’s rule is from 1682 until his death in 1725. There were no strict rules for the succession of the czar. It’s basically just kind of an uncomely family battle royal, in which there were bloody settlings of scores. There was no foreign minister. The Boyars’ counsel, that is the counsel of the nobles, literally met in the throne of the palace. It became known as the Duma. Eventually in 1905, Nicholas II will be forced to grant a Duma, an assembly to Russia. Then he withdraws, eliminates basically all of its rights, and then the Duma will come back later on. Peter is one of those cases in European history where one person’s personality and interest does make an enormous difference. He is an absolute ruler. He can do what he damn well pleases. He is personally responsible for the reforms, the opening up of Russia to a considerable extent to western European ideas. This is something that he does himself. As a boy, he was very smart and he was very interested in science. He always wanted to know how things worked. He was fascinated with astrolabes and was interested in sailing. Russia doesn’t have a port. He’s interested in sailing and learns about sailing on lakes, and ponds, and rivers. It does have a port, but it’s frozen all the time. His travels took him into contact with observatories, museums, hospitals, botanical gardens. He’s fascinated by gardens. When he goes to Europe on his big sortie, on his big-boy trek through Europe, he goes around and he visits all of these botanical gardens. He sketches things. He’s constantly sketching the way things work, the way things are. He had this intellectual curiosity that defied the kind of orthodox religious skepticism about any kind of rational belief. This permeated not only the Russian Orthodox Church, but it permeates the Catholic Church as well. Look what happens to Galileo, who was lucky enough to have been burned at the stake by his friend, the pope. He was interested in math and in geography, and thus in maps and map making. What he does is he takes this archaic state structure in which literally nothing had been written down. It’s all just passed down from word to mouth. He transforms Russia into an European absolute monarchy with much in common with Frederick the Great, with Sweden, with Austria, the Austria of the Hapsburgs, with Spain, and with France. He tries not only to copy European absolutism, but to open up Russia to commerce, realizing that trade meant wealth and that wealth meant improvements in the lives of the Russian people. More about that in a while. He makes Russia a military power. Indeed, arguably a modern military power, at least in the seventeenth and early eighteenth-century sense, and he injects European culture into Russia. Now, just as an aside, but it’s one that we’ll come back to particularly in your reading, the tension in Russia between an absolute repugnance for western influence and the constant assertion that Russia’s traditional ways of doing things are the right way of doing things, long identified with people who would be called Slavophiles. Their tensions with westernizers would last right through Russian intellectual history in the nineteenth century. I remember when I was a student of one of the biggest classes at the University of Michigan — go blue! I am so sad this weekend — it was Russian intellectual history. We would read the Slavophiles, and we’d read the westernizers, taught by the late scholar of Russia, Arthur Mendel. It was fabulous to read these people as they debated what will happen to Russia, the kind of westernizers and those in between. A lot of them were writing from Paris in the nineteenth century. Some of them were great, great writers. There was this kind of intellectual energy. But it came down to this theme that still is so important, and was already so important, which is, what is Russian that should be kept uniquely Russian and closed to outside influence? And what is Russian that should be modified by being open to non-religious influences that come from other places? This is not just a uniquely Russian tale, as you can see. What about Peter himself? Somebody figured out that he was at least 6’7″. Now, that’s just huge. That’s tiny in the NBA now. But the guards, the “giants,” they were called, who guarded Frederick the Great were giants because they were six feet tall. The average person was about 5’3″ or 5’4″ in France. Napoleon, who was always considered to be kind of a dwarf, a midget, really wasn’t at all. He was just sort of corpulent. He was the average kind of increasingly corpulent. He was the average height of most people in France. Peter the Great was a big guy, 6’7″. He had extremely small hands, very small feet, which meant he sort of lurched and stumbled sometimes when he walked, particularly because he drank enormous quantities. He had these odd kind of facial ticks that he couldn’t really help at all. We don’t have a documentary showing Peter the Great in action, for obvious reasons. But the people that he visited when he was snatching huge roasts off the table at the fancy parties in London commented on these facial ticks that he had that would bend his face. He had a misshapen lower lip and his head sometimes when he was talking would seem convulsed to the right. It would move to the right all the time. He was so much bigger than everybody else, so people really were not taken aback, because this was a time when physical imperfections were commonplace. You couldn’t go anywhere without seeing people who nature had given, in many ways, a very bad deal along with crushing poverty. Remember, this is a time, as we’ll see in a while, where the czar was on the road a lot, and distances in the Russian empire are enormous. When he is gone from Moscow and then St. Petersburg, there was always this tendency to have these sort of cabales, to get together and sort of plot. His son has the bad idea of getting involved in this later, as we shall see. Yet there were incidents that his merciful side came through as well. But when it came to treason, he was less likely to be merciful, as the case of Alexis, his ill-fated son would demonstrate. One thing is clear. Peter the Great had an enormous ambivalence about his role and his image as a czar. His second wife was a Latvian peasant maid. This horrified the Boyars, who thought that this was unbecoming. How can you marry a Latvian to begin with, if you’re a Russian and marry somebody who was a commoner? He was capable, and there are a lot of paintings of him dressing up and playing the role of a czar, dressing in fancy clothes. 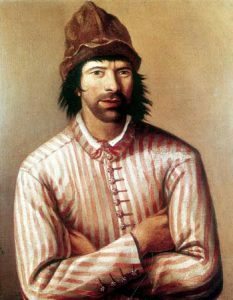 But there are more images of him identified with horribly worn boots with his toes sometimes sneaking through at the end that seemed to reflect his great personal thrift, wearing stockings, it was said, that he darned himself, and a battered hat that he kept on wearing that he had worn at the Battle of Poltava in 1709, complete with a bullet hole that supposedly tore through it, missing his head. He liked the company of ordinary people. This was a constant trait. He identified himself with the Russian people. More about this in a while. He avoided carriages. He liked to walk. He would leave the carriage behind, dismissing carriage drivers who were more well-dressed than he was and his guards. When traveling abroad, he refused the fancy lodgings that were reserved for such distinguished visitors. In 1717 in Paris, Lindsey Hughes reports, he went to a private house instead of the Louvre palace. The museum had a big palace, which is, as I said before, where the small boy, Louis XIV, lived, and then was burned in 1871. Instead he just went and rented a private house and fell asleep almost immediately. He loved sleeping on ships; he thought that the rocking of the waves rocked him to sleep, so he liked doing that. Legend has him eating peasant food — cabbage soup, porridge, meat with pickled cucumbers, ham and cheese, and kvass, which is a drink that I’ve actually tasted from fermented black bread. But he was not indifferent to foreign food. Somebody found an order. He ordered 200 bottles of Hermitage wine. Hermitage is a really wonderful and now just horribly overpriced wine from the Drôme, on the left bank of the Rhone not very far away from where we live. But it’s totally out of price. But Hermitage was a wine that was known by connoisseurs in the seventeenth and eighteenth century, and ever since then. For all the talk about eating cabbage and eating with ordinary people, even then Hermitage cost a lot of money. He ordered 200 good bottles of Hermitage wine. So, voilà. I wish I had been invited to these things. He was very informal. There is this legend that he used to grab these huge chunks of meat and started gnawing on them like he would on a hotdog or something like that at a Yankee game, except that other people were already dressed up and the meat and the gravy was flying over them as he just sort of walked around gnawing on this stuff. Sofia Charlotte of Brandenburg — I don’t know who the hell that is, but it’s got to be some royal hanger-on — wrote that “It is evident that he has not been taught how to eat properly.” But she liked his natural manner and informality. King Frederick of Denmark found him ill-mannered and inappropriate. He liked to masquerade. Again, this is his personal ambivalence about his own role, hanging around with ordinary people, sleeping in peasant lodgings and that sort of thing. He liked to dress up as a sailor. One thing that he always did when he went on his grand tour is he always took fake names, as if he was signing into a hotel as Mr. and Mrs. John Smith. He would take the name of a commoner. He didn’t sign into a hotel as Peter the Great or whatever, but he would go in with a name that wasn’t his. Again, this is just his personal ambivalence about who he was, and his uncertainty about the role that he had in his own family. So, this was a play-acting that was part of his life. These ornate masquerades and charades that are part of his complexity reveal something about his identity. Then when you see these portraits of him, he looks very czar-like. He looks like one of these royal people that were painted all the time. In 1697 he goes west with the name of Peter Michaeloff. Even in his own account books, which he kept very carefully about how much money he spent. He wasn’t radin, he wasn’t a cheapskate. But he paid attention to royal expenses, personal expenses. He refers to himself with a variety of names and titles, as captain this, colonel that, general that. He’s not trying to hide his identity to the future. It was very obvious who he was. His handwriting is recognized by experts. But role-playing takes on dimensions of the state. I mentioned, I don’t remember in what context, the other day that the most famous example is the drunken assembly. It’s sort of a mock parallel government with his buddies. It has personnel who are his buddies, those in favor, lots of eating, drinking, et cetera. It has its statutes, sort of the mock constitution, and its rituals that involve basically getting wasted. Again, this is part of his split personality about who he was. If Hughes is correct, this is part of him saying that being a czar is more than just dressing up, and playing the role, and going to fancy dances, and hanging around with fancy people who don’t do a damn thing. You have to do the work. You have to walk the walk. That he did. You had to manifest strength, and firmness, and bravery, and worthy deeds that would be recognized as being real deeds by contemporaries. He constantly warns his son, who was kind of an n’er do well, that, “You better work hard,” or, “You better work a little harder and pay more attention to what you’re doing. You’d better care about military things more than you do. This is what I’m telling you you’d better do. You’d better listen to what I’m doing.” But sometimes he would drink a lot and eat a lot because he just needed to relax. Being a czar was a busy job. He got up at 4:00 in the morning. He was at his office before anybody else was. People began, like in any business, to be attentive to whether or not they were early enough. “Does he see me that I am still here when it’s getting dark?” Of course, it gets dark in the winter in St. Petersburg about noon. But anyway, he loved practical things. He loved firefighting, for example. He had a passion for fireworks, explosives, cannon fire. He played the drums. He loved dancing and he loved religious singing. He loved the choir music of Russian Orthodox services. He loved to play chess and he loved to play billiards. And, as I already said, he loved mathematical instruments and telescopes. He carried a telescope with him wherever he went. He knew how to use it and he knew what he was looking for. He loved globes. He loved to see where things were. He liked to see that they mapped parts of Siberia that people didn’t know what was there. It was rather like parts of Africa before the 1880s. You see these big blanks, because nobody had ever been there. He was interested in that. He was self-taught. You didn’t have to go to some fancy school if you were a czar, to be a czar in training. You had tutors, as all these folks did. He made spelling mistakes, which you can see. I don’t read Russian, but he made spelling mistakes when he wrote. His handwriting was awful. Bad handwriting is the nemesis of historians, to be sure. But he built a private library, and it wasn’t just full of religious books. It was practical books about fortifications, hydraulics, artillery, navigation, and shipbuilding. But he also sang religious music. He had many religious books, the kind of standard liturgical texts that were the stuff of religious enthusiasm, and more modern theological works in the Russian Orthodox tradition. Another point about this sort of ambivalence about being czar is that he often made a point of choosing his most trusted advisors from the ranks of commoners and gave them the right to become titled after a certain amount of time in the royal bureaucracy. But sometimes he had a tendency to pick people whom he liked a lot but were totally unqualified, military commanders who weren’t very good. But what he does is he cuts off Russian absolutism from this totally religious culture that represented 100 percent of the official culture, in a real sense the culture of pre-Petrian, that is pre-Peter, Russia. 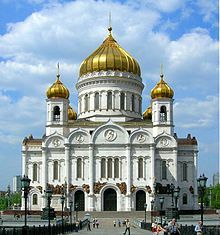 Russian culture was entirely religious. If you went to Poland, where I go often, as I’ve said before, if you went to Krakow, where Copernicus worked — I’ve been in Copernicus’ workroom, and it’s absolutely fantastic — in Krakow you had a major university. It was an important center of learning, a diffusion of scientific ideas in the scientific revolution and later of Enlightenment ideals. In Vilnius, which is the capital of Lithuania, you had a university as well. But there wasn’t a university in Russia. There was no equivalent of the Royal Society that you’re reading about in London that was very important in the diffusion of the scientific revolution. There’s nothing like the Académie des sciences, the Academy of Sciences in Paris, which was founded in 1666. There’s no legal tradition, so there’s no law school. There’s no medical school. There’s no secular culture. Ninety-percent of all the books that were published before Peter were devotional texts in the church. There was no word literally in Russian for the state, or for the monarchy, or for the government. They did not exist. The state was an abstraction, but in the person of the czar it was a reality. Now, the Boyars, in the 1660s and the 1670s, some of them began to learn Latin and Polish. Diplomacy is still in Latin until the end of the seventeenth century and then, as you know, it becomes French. So, what about his accomplishments, besides the ones I’ve already mentioned, to which I will return in a little bit. 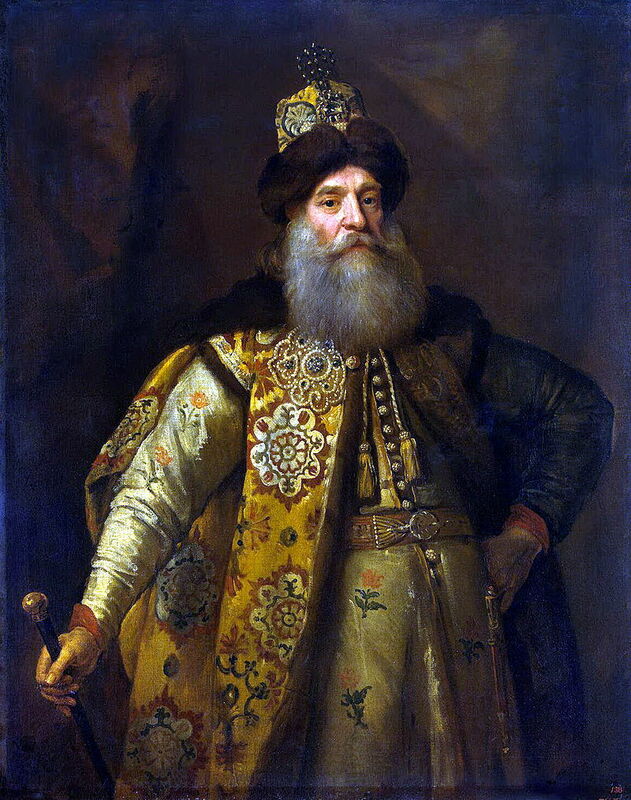 Muscovy had already conquered the Volga basin in the sixteenth century, where the nomadic Tatars were, T-A-T-A-R-S. This is important, because it’s the black earth region of rich agriculture there. What happens in Russia is what happens in Prussia, as well, and in other parts of Eastern Europe, particularly in the Hapsburg domains — you have, to make a very bad pun, a resurfacing of the region by people forced into serf contracts. Not contracts. They become legally part of the land, literally. This follows the arrival of the expansion of serfdom. Serfdom expands along with the Russian empire. They already held Siberia and they reached the Pacific Ocean in the 1640s. So, I already said what the number of square miles that were increased, but it increases from six to sixteen million of the population. They expand north to Archangel, so this gives them a port, but a frozen one. And, as I already said, south and southeast to the expense of the Turks. But Peter wanted a navy. It’s sort of circular reasoning. If you want to have a navy, you have to have a port. And if you’re going to have a port, then you have to have a navy. Why not? He first built a navy on rivers using Dutch shipmasters from Amsterdam. He once said that if he wasn’t the czar of all the Russians, what he would want to be would be an English admiral. He learned Dutch — and Dutch is a very difficult language — in 1696, while the Turkish war went on, or one of them, he went off to Western Europe incognito as an embassy soldier. Again, it was part of his gamesmanship, his pretend games. There he learned carpentry in a very serious way. He went to the Leiden Medical School, because he wanted to see how you dissected bodies. He went there, too. Then he went to London, along the Thames, the major port of the world then, along with Amsterdam. He learned shipbuilding there as well. Because the building of ships was, to him, the application of rationality, of reason, thinking, and experimentation, this got him interested in the scientific revolution. There’s nothing too surprising about that. The essence of the scientific revolution. He may have even attended a Quaker meeting, but we’re not sure about that. The problem was if you have a basically landlocked power and want to get to the sea, then you’d better have a navy. He’d learned to sail when he was young, but on the river. This also, by the way, gets him interested in Baroque and these kinds of Baroque masquerades that he had back in Moscow and then in St. Petersburg as well. So, in all of this, what he does is he makes, to use an expression that I’ve already used before in the context of absolutism, he makes the Boyars, while he’s building his navy and expanding Russia, he makes the Boyar junior partners in absolutism. That phrase again. Now, there are only about 200-300 Boyar families. They own, by the way, 40,000 serfs, own 40,000 serfs, just these 200 to 300 families. They build huge houses in the seventeenth century in Moscow with very old-fashioned traditional Russian architecture. The Russian empire was rather like Charlemagne’s empire in 800 in the coronation at Aachen or Aix-la-Chapelle and all of that. You have this bureaucracy that’s — it’s not really a bureaucracy, but you’ve got these royal officials representing the royal will, but the actual impact in this vast expanse of the Russian empire isn’t that great. There’s nobody telling people what to do on a day-to-day or even a month-to-month basis. Yet there’s an enhanced sense of obligation to the czar of all the Russian people. There’s an advanced sense of state and of organization. That also is one of the things to put in neon. He creates committees of advisors that, in many ways, are not that different than the kinds of ministries that would evolve in western absolute rulers — absolute states, and in non-absolute states as well. By 1708 and 1709 he has created a more European-style administration for this vast empire. He wants to build a capital city. That’s where St. Petersburg comes from. It had been Swedish territory, and his victories give him this land. I once went to visit the summer palace that he created and that Nicholas II loved so much there. He constructs this new capital. What’s important about the construction of St. Petersburg — I don’t know how many of you have ever been there; I haven’t been there for a very, very long time — this city is not like Moscow at all. When you look at Moscow you see these old traditional, the skyline is dominated by churches, the influence of the Russian Orthodox Church. St. Petersburg is completely different. It is an example of classic great power, absolute urban planning. It has a long boulevard, the Nevski Prospect, very important in 1917. The most dominant buildings are not churches; they are state buildings. They are state structures. It’s a different place. It reminds you of Madrid. It reminds you of Berlin. It reminds you of Versailles and it reminds you of the post-Haussman Paris, that is, post 1850s and 1860 Paris. It is an example of what I call the imperialism of the straight line, where you have large boulevards that you can march armies down to, reviewing stands and all of that, totally different than Moscow. The religious leaders did not like Peter, because Peter is bringing in to Russian culture foreign elements. They were already suspicious of the implementation or the annexation of Baroque religious forms, architectural forms and liturgical influences from Austria and from Central Europe, and now they’ve got a guy who’s telling the Boyars’ women to dress like western European women. At a time when beards meant a great deal religiously, he’s telling the men to shave off their beards. He’s telling the men to wield forks and knives as well as weapons, and to adopt non-Russian customs, to bring them into Russia. There’s tremendous tension with the church. But he remains — he is a true believer, but he is bringing into Russian religious culture changes that were deeply resented. Some aristocrats began to put on western style wigs, such as you could find at the court of Versailles. Women had to wear high heels and they were tottering along and falling on the cobblestones wearing high heels and European style dresses. He promulgates decrees as czar about daily life. This is a big transformation. As to his son, his son was more under the influence of these traditional religious influences. He is plotting against his own father. 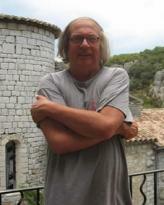 Peter, on one of his trips, has to return back to Russia. In 1716 and 1718 Alexis had taken his mother’s side in the divorce and did not like the Latvian peasant second wife. He also didn’t like military service. He was lazy. His father said, “I see you are spending more of your time in idleness than in taking care of business at this crucial time.” But Alexis doesn’t get the point. He begins to plot in various ways with dissident Boyars. He goes off and gets the support of the emperor of Austria to wage a war against his own father. Terrible idea. When he returns, his father orders him tortured. Under torture, Alexis — who probably dies of cold, not of torture, in a very frozen cell — named Boyar accomplices. These people are toast, obviously. The son probably died of TB, but it related to all this other business in his weakened state. That was the end of the son. But what lasted longer than Alexis was the Europeanization of Russian culture. Peter the Great has books translated from the west, including John Locke, into Russian. This, itself, was a remarkable accomplishment. After all, the Russian Orthodox churchmen had not been interested in the Renaissance at all, not interested in the scientific revolution at all; and, by 1710, Russian students are being sent abroad to foreign universities, particularly in Italy, but also in France and in England. They’re studying practical things like marble work, and metal work, and copper work, and not just shipbuilding. They’re also studying the life of the mind. In a way, it’s possible to argue, which is what I’m arguing and I’m not the first to do it, but Peter the Great was, in many ways, himself a child of European rationalism, of a scientific culture of rationality and of, at least in the earlier stages, the Enlightenment. He was not against the church, but he thought that people were wasting time being monks, and other people were all over the place in their Russian Orthodox equivalent. He believed whatever one wag once set of monks, “I sleep, I eat, I digest,” and they prayed, of course. To him this was not useless, because it didn’t serve the state. It didn’t serve the dynastic interests of the dynasty, which he identified with the Russian people. He did not ever imagine the abandonment of the table of ranks, which set everybody in a hierarchy, not for a minute — we’re talking about the end of the end of the seventeenth and eighteenth century. But he believed that it was important to take the tools of science, to take the tools of rational thought and apply them to the good of the state, even if you saw that good of the state as in ships that could lob cannonballs even further against hostile ships, and that kind of thing. But he founds the first Russian museum, the first school of navigation, the first school of this and that. There are 100 times more books, pamphlets, prints, and maps produced in Russia under the time of Peter the Great than there had been in the whole previous century. Peter, as Lindsey Hughes has argued, was highly suspicious of any alternative to state service, especially the monastic way of life, which I’ve already said. But he thought that it should be channeled through state obligations, be there taxes or labor duties. At the same time, he’s equally suspicious of the godless. So, he remained very Russian, but it was the importation of more western ways of looking at things that were very important. He wrote once that, “The chief thing is to know your duties and our edicts by heart and not put off things until tomorrow,” like his son did. “For how can a state government exist if edicts are not put into use?” et cetera, et cetera. Their lives should be better. The concept of the state was fundamentally new to Russia, but gradually came into existence, and his accomplishments had a lot to do with that. He wrote his son in 1704, he said, “I may die tomorrow, but be sure that you have little pleasure if you fail to follow my example. You must love everything that contributes to the glory and honor of the fatherland. You must love loyal advisors and servants, whether they be foreigners or our own people, and spare no effort to serve the common good.” The common good comes right out of enlightened thought. It comes out of Locke and those folks. “If my advice is lost in the wind and you do not do as I wish, I do not recognize you as my son.” That, in the end, is what came in the long run. He remained a fanatically Russian patriot, the father of his people. His admiration for foreign things and approaches was tempered by, as Hughes argues, his devotion to Russia, which he oversaw. The common good became a real concept and one that, unfortunately, some of his successors didn’t take terribly seriously. In conclusion, he defiantly, deliberately, and effectively broke with tradition. In doing so he made himself sort of an outsider to traditional Russian ways of looking at this thing. This ambivalence that was part of his personal life, the way he lived, would be a constant theme in subsequent Russian and still, in many ways, is today. Between Slavophiles and westernizers, those are the people that look inside Russia to finding what they think to be eternal truth and those people who want to temper such looks with a look to the west. That, in neon, is what Peter the Great did above all and for which he shall most be remembered.